As a native Oregonian and outdoor enthusiast, I wanted to share my experiences and love that I have for our beloved state. Founded in 2013 as a passion project, That Oregon Life quickly grew to become a massive platform reaching millions across the globe. Not only are we known for our endless adventures, and keeping you up to date on the latest in Oregon, but we also offer our line of high quality products for Oregonians. That Oregon Life captures the best of Oregon with our beautiful, endless platform for all Oregonians to share their amazing adventures. We love sharing great Oregon content and giving credit because Oregon is full of amazing talent and beauty. From local artists and entrepreneurs to historians and musicians, and all the other organizations or crazy fun things that make Oregon so great! As true Oregonians, we respect our environment and Leave No Trace when discovering local beauty. That Oregon Life followers love adventure, amazing hikes, spectacular Oregon locations, delicious food & drink, incredible road trips, and supporting local business. That Oregon Life is built as a collaborative effort by its user community. While we make every effort to fact-check, information found here should be considered anecdotal. You should cross-check against other references before planning a hike. Trail routing and conditions are subject to change. Please contact us if you notice errors on this page. All content posted on That Oregon Life, and may not be used without permission. Hiking is a potentially dangerous activity and can potentially result in injury or death. The hike descriptions contained in the That Oregon Life website are a community resource intended to help plan outings, but individuals using this resource are wholly responsible for anticipating potential hazards and evaluating their physical ability to follow a particular hike description. Use the links on this website to research trail and weather conditions, and always carry the ten essentials. ThatOregonLife.com is not responsible for the hikers who use this resource. Our goal is to provide the best premium Oregon content for our fans to enjoy and share. That Oregon Life has long been a trusted source for the best Oregon has to offer, and our community continues to grow exponentially. Founded and run by passionate, life-long Oregonians, That Oregon Life understands that Oregon is not just a place to live or visit. Being an Oregonian is a way of life, and the spirit of Oregon can be found all around the world. Our publication, thanks to our dedicated followers, reaches an average of 10 million people monthly. As an Oregonian, you want to see more great Oregon content with less ads getting in the way. At That Oregon Life, we prefer premium Oregon content with limited ads that do not interrupt user experience so you can always find what you’re looking for with ease. Much like the high-quality handcrafted beers and cocktails found in Oregon, we are the craft website for all Oregonians to enjoy. At That Oregon Life, we welcome all Oregonians new and old with open arms. True Oregonians love to exploring the wonders of Oregon, sharing adventures, respecting our environment, and being tolerant of all other Oregonians. Every single company who markets on That Oregon Life must be Oregon Minded. 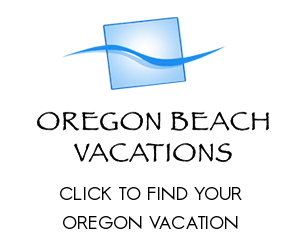 That means the businesses and organizations you see in our Premium Ads are Trusted & Verified “Oregon Minded” Brands. By working diligently with our partners to Protect, Restore & Preserve Oregon, we make Oregon a better place to live, learn, and play. That Oregon Life is now accepting articles, photos, and videos from Adventure Guides, Inventors, Photographers, Videographers, Aerial Pilots, Foodies, Beverage Connoisseurs, Health Experts, Women’s Groups, Startups, Entrepreneurs, Historians, Artists, and all the other organizations and crazy fun things that make Oregon so great! We love giving credit to our Contributors and Guest Authors so we always do our best to make sure everyone gets the credit they are due. Here is a link to our Guest Author Program where you can upload all your cool Oregon articles, photos, and videos. Please make sure to give us a short personal bio, profile image, and links to your website or social platforms so we can create your profile and link/tag you accordingly. Click the Contributor image below to visit the Guest Author page. Thank you.